Leaves and Roots should be consumed to stave off fevers.Seeds and leaves should be consumed by the nursing Queen to increase available milk. 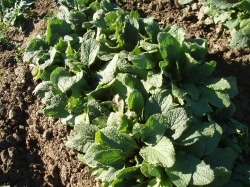 Borage should never be used dried, only green. They are to be chewed and eaten. 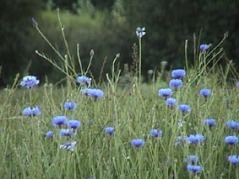 The plant can be distinguished by it's small blue or pink star-shaped flowers and hairy leaves. Burdock root is good for cuts and scrapes that are infected, especially rat bites. It is also used to relieve joint pains (like arthritis). It's a tall-stemmed, sharp-smelling thistle with dark leaves. A medicine cat must dig up the roots, wash of the dirt, and chew them into a pulp. 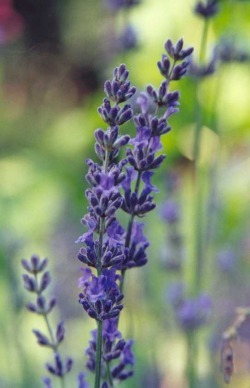 Catmint is used to treat blackcough, greencough and whitecough. It can also help to relax a cat or cool a fever. It is very important to have. It is gathered and pressed into wounds to stop bleeding. It is generally only used with wounds that risk bleeding heavily as they can cause increaded risk of infection. It is a delicious-smelling, leafy plant tha's hard to find in the wild and is often found growing in Twoleg gardens. The best remedy treatment is for greencough. 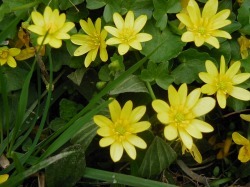 Celandine is best used to treat ailments of the eyes. It is used to calm cats and to give them physical strength. It is also used to relax. The leaves and flowers sooth the heart and gives physical strength. This white-flowered plant has several different properties. 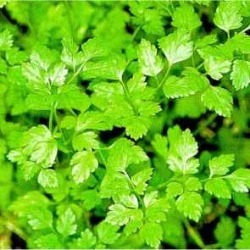 Chervil juice is best for infected wounds while the root is best for bellyache when chewed up. 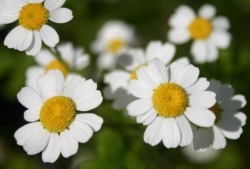 It is a sweet-smelling plant with large, spreading fern like leaves and small white flowers. 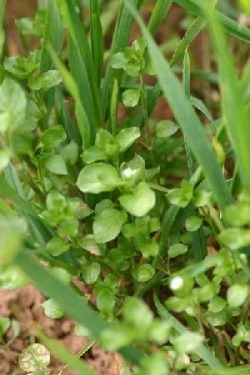 If there is no catmint available, chickweed is a good substitute for countering greencough. 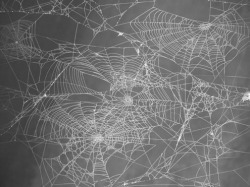 It's common knowledge that cobwebs are used to stop bleeding. They can be found all over the forest; but be careful not to bring a spider back with you! Medicine cats wrap it around an injury to soak up the blood and keep the wound clean. This bright yellow herb is quite effective against kit-cough. 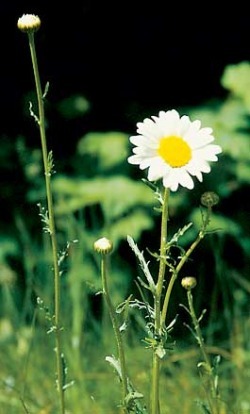 It is a flowering plant, a bit like a dandelion, with yellow or white flowers. 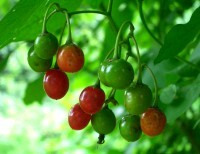 The leaves can be chewed into a pulp, which is eaten to help shortness of breath!. Best for healing broken bones. The leaves of this white and yellow plat work wonders on aching joints. Deathberries are poisonous that a single berry can kill a cat. The berries, or any other part of the plant, when consumed with kill the cat who swallows if trhey are not given immediate help. Even then they may not always be saved. The roots and leaves may be chewed togetrher and applied to sore places, but must NEVER be applied to open wounds! It is a poison in addintion to a healing plant. They are red berries and are know to twolegs as yew berries. BEWARE! They are best for making a cat’s coat as slippery as a fish. 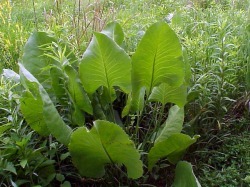 It is a plant similar to sorrel. The leaf can be chewed up and applies to soothe scratches. They are collected in autumn and stored in a dry place. They help to stop infections. Used to cool feverish cats and to treat head pain. 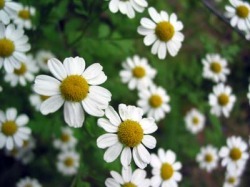 It is a small bush with flowers like daisies. The leaves can be eaten to cool down body temperature, particularly for cats with a fever or chills although. 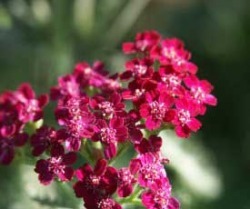 Used in a poultice to treat aching joints and stiffness within muscles. 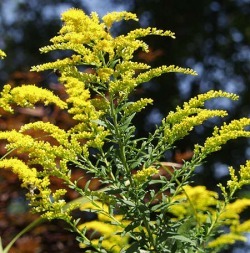 It is a tall plant with bright yellow flowers. The poultice of this is terrific for healing wounds. This sticky liquid was used to soothe the throats of cats who have breathed in too much smoke from a fire or just irritated throats and other things. 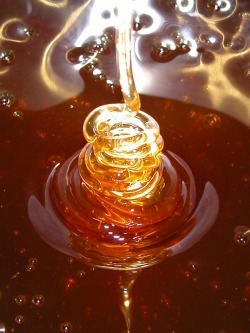 It is a sweet golden liquid created by bees. It is difficult to collect with out getting stung, but great for soothing infections. The sap of horsetail can be used in combination with cobwebs to stop bleeding. It is a tall plant with bristly stems that grow in marshy areas. 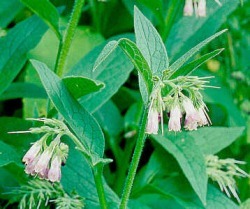 The leaves can be chewed up and applied as a poultice to stop infection. Good for calming a cat or belly aches or whitecough. The berries ease the stomach and can serve as a counter poison. 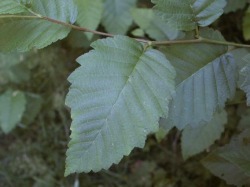 The leaves are used to ease coughs and other respiratory problems. It is a bush with spiky dark green leaves and purple berries. The leaves and flowers are particulaly good when eated for easing pains in the head and throat; good for fevers and chills. Inhaling the sent of the fresh flowers can also calm the nerves. Good for dressing wounds and healing infections. The leaves and flowers should be consumed to relieve chills. The leaves and petals can be shewed and place on wounds to prevent infection. 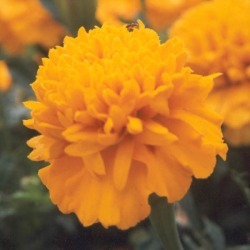 It is a bright orange or yellow flower that grows low to the ground. 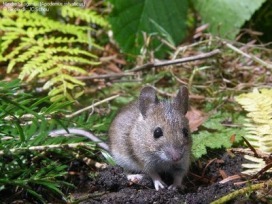 (I decided just to add a picture of a mouse because I'd rather not see Mouse Bile!!) It is used to rid cats' pelts of ticks. Bile comes from the liver of the common mouse and may be harvested and used to kill stubborn fleas as well as ticks. It smells gross; a dab of it is applied to moss and put on the bug problem. Paws need to be washed thoroughly in running water afterward. 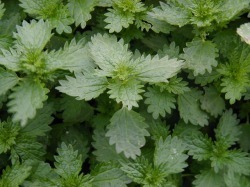 These leaves are used to treat swelling, rashes or fevers. The spiny green seeds can be administered to a cat who's swallowed poison. Nightshade plants are as poisonous as deathberries. The poppy's seed is the best herb there is to numb pain and ensure a good night’s sleep. 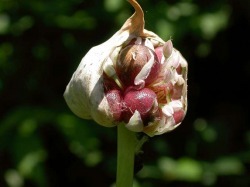 The flower heads should be consumed together to relive continuous coughs. The flower heads should be consumed together to relive coughs. The petals and leaves should be chewed to aid in sleep and improve resting. 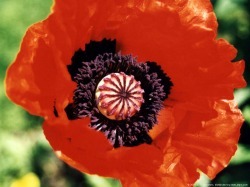 Poppy seeds are small and black and can be shaken from a dried poppy flower. They help soothe cats from suffering shock and distress. They are not recommended for fusing Queens. These two different mountain herbs, ragwort is shown on the left while lamb’s ears are pictured on the right are used by the Tribe of Rushing Water to helpstrengthen cats. It is used to counter poison. The leaves, flowers, and stems should be eaten together to remove worms. The leaves may be chewed to relive joint aches. The flowers should be consumed to remove coughs. 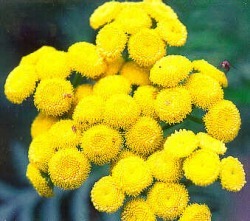 Pregnant Queens should NEVER be given Tansy, for it causes miscarriages. It is a strong-smelling plant with round yellow flowers and needs to be eaten in small doses. 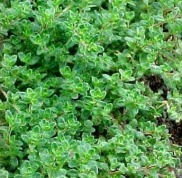 Thyme has a sharp scent that soothes even the most agitated cat, or to aid in bringing restful sleep. Watermint is a good treatment for bellyaches. It is a leafy green plant found in streams or damp areas. It is usually shewed into a pulp and then fed to a cat. If you’ve got a lot of cuts and scrapes, make sure you roll in some wild garlic to keep out infection. It also helps cure ear infections. It helps especially if you have rat bites. This herb can be used as an ointment, used to soften paw pads, or to make a cat sick so they can expel poison. 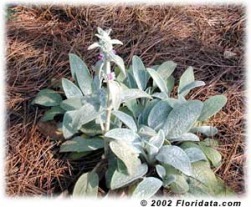 It is a flowering plant whose leaves can be made into various poultices. *Ingest means ‘eaten’ and apply means ‘don’t eat it, it goes on the skin. Note- Water mint is only available in marshy/wet areas. Catnip is only found in two-leg gardens. Dislocation of fore/hind leg- First, the cat is given a poppy seed to ease the pain and, hopefully reaction skills. Then, one cat must restrain the patient, so the medicine cat’s face is not clawed off. The medicine cat then grips the patient’s leg in the jaws and gives quick pull. A sharp click should be heard and the injured cat should respond to this with a yowl and a struggle. Then the poppy seed should really be taking effect, causing the patient to not be able to think straight and stagger. He or she should be sent to rest immediately after. The process of relocating the leg should be done in no less than a minute. Detecting fever- Medicine cat must press their nose to the pad of the patient’s paw. Then, if still unsure, the medicine cat can compare to another, healthy cat. Detecting hearing disorders- Simply have a cat stand far away from the cat and call it by its name without giving any sort of visual. If the cat in question does not respond, have the calling cat near a few paw steps closer then call again, in order to know the severity. Echinacia - Used to ease infection. Fever - Leaves can be used to reduce fever, in addition to being consumed to aid against colds and stomach ailments. Willow (Tree) - Water from beneath the bark of the flowering willow may be dripped into the eyes to help clear blurriness of vision. It may also be applied to dry patches of skin to sooth itches. Small amounts of Willow Bark may be consumed to ease pain, act against inflammation, and to ease diarrhea or fevers. How to Stop Heavy Bleeding: First the area that is bleeding must be cleaned of all large objects, such as twigs and leaves. Then cobwebs must be pressed heavily against the bleeding area. Pressure must be applied and kept on the wound until it stops bleeding. Once the bleeding has stopped, ease pressure gradually and apply any herbs necessary for fighting infection or healing the wound efficiently. Then apply more cobwebs and have injured cat rest for a day or more. Making a sick cat comfortable: Ill or Injured cats must be taken care of very carefully. Always make sure that the bedding they lay on is dry and free of sharp stones or sticks. Bedding should be moss or soft pine needles, and should be changed daily. Be sure that the cat is out of the line of harsh sunlight, rain, and snow fall. Injured and ill cats are extremely sensitive to noise, so keep the worst cases far back in the den to avoid any disturbances. Moss soaked in water should be offered twice daily to cats who can drink. Feeding a sick cat: If a cat is only injured, they should be able to eat for themselves. Bring one piece of fresh-kill daily to all injured cats. Cats who are ill may have more trouble. Cats who cannot keep down food should not be fed. They will need to be carefully monitored for signs of malnutrition and dehydration. Cats who can eat should be given only small, easy eaten pieces of fresh-kill. This includes mice, voles, and fish. Rabbits are too large, and birds must be de-feathered carefully. Small pieces are the key to a sucessful feeding. Do not let sick cats over eat, as it will make them sicker. Medicine Cat: Spottedpaw, is it your wish to enter into the mysteries of StarClan as a medicine cat? Medicine Cat Apprentice: It is. Medicine Cat: Warriors of StarClan, I present to you this apprentice. She has chosen the path of a medicine cat. Grant her your wisdom and insight so that she may understand your ways and heal her Clan in accordance with your will. Unlike normal apprentices, Medicine cat apprentices are not appointed by the clan's leader, although some agreement from the leader is essential. The current medicine cat must choose a cat who is willing to become a medicne cat and take them to Moonstone. StarClan must then approve or disapprove of the choice. Apprentices to medicine cats are expected to learn all the different herbs and their applications before they can become full medicine cats. A medicine cat apprentice does not receive his or her full name until StarClan decides it is deserved.Apprentices are usually mild mannered and relatively quiet, but this is not a requirement. They are expected to keep secret anything they learn from StarClan until otherwise instructed by their mentor. Medicine Cat: I, Dreamcloud, medicine cat of ThunderClan, call upon my warrior ancestors to look down on this apprentice. She has trained hard to understand the way of a medicine cat, and with your help she will serve your Clan for many moons. Spottedpaw, do you promise to uphold the way of a medicine cat, to stand apart from rivalry between Clan and Clan, and to protect all cats equally, even at the cost of your life? Medicine Cat Apprentice: I do. Medicine Cat: Then, by the powers of StarClan, I give you your true name as a medicine cat. Spottedpaw, from this moment you shall be known as Spottedleaf. StarClan honors your knowledge and certainty, and we welcome you as a full medicine cat of ThunderClan. Medicne cats often do not have to fully obey the traditional warrior code. Because of their close connection with StarClan, these special healing cats often hold different allegiances and ideals than most normal cats. Medicine cats may freely cross Clan boundaries if they are going to or coming from the Moonstone. All clan members respect and trust medicine cats. Medicine cats accompany their leaders to the Moonstone when they recieve their 9 lives (on occasion, they may not) or need to commune with StarClan. Medicine cats are respected by all the forest cats, regardless of their clans. Medicine Cats must also ad here to different rules than normal clan cats. They cannot have kits. They cannot take a mate. Medicine cats are expected to try and resolve all conflicts peacefully before resorting to violence. They are expected never to create false dreams or lie about what messages StarClan have shared with them. Storing herbs in Winter: Storing herbs in winter can often be quite difficult. Herbs will spoil quickly after being gathered unless dryed. 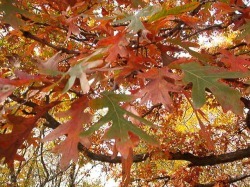 While drying is possible in the seasons of leaf-green, green-leaf, and leaf-fall, it is rarely an option in leaf-bare. A recommended technique is pressing. This methods works only with large, leafy herbs. Take a flay roak and place it near the den. Place the herb on the rock and place another flat rock onto that. The herb will soon be flat and dry. Herbs that cannot be dryed or pressed should be stored immediantly after gathering. Dig a hole inside of your den. Line the hole with dry leaves and twigs. Then place all herbs into the hole and cover with snow. The herbs will keep for several moons. Organizing your den: Organization is very important. An unorganized den may lead to a cat's death. All herbs should be contained in special hollows in the dirt at the den's entrence. These hollows should be scooped shaped, and lay close to the entrence and off to the side. The main den area should be covered with a layer of dry moss. The moss must be changed every three days to ensure comfort and cleanliness. A flat stone should be placed near the herb hollows for easy grinding acess. Keep the rock cleared off and do not pile herbs or prey onto the rock. Be sure to leave a clear path through the den so cats can move freely withour stepping on the injured or ill. Dealing with multiple wounded at one time: Often, after a battle or skirmish, many cats will be wounded at once. It is important to prioritize the wounded quickly and efficiently. First, check to see if any very young or very old cats were injured. Tend to these cats first. Then go and tend to the heavily bleeding or bitten. These must be treated quickly to prevent infection. Next comes any cat whose paws or eyes were injured. Finally, all minor injuries can be dealt with as necessary. Move any seriously wounded cats to the den for observation and special care.